Thermaltake has once again expanded its portfolio of PC cases with the addition of the new Versa N24 PC chassis. The new chassis comes with a mid-tower size and strange but cool looks – on the outside the case has elements that resemble an automobile engine and the logo of the German automaker Mercedes-Benz. The case also has an acrylic window and a special cover that hides the PSU and the storage drives inside the Versa N24. The Versa N24 has been designed from the start for ATX, micro-ATX and mini-ITX motherboards. 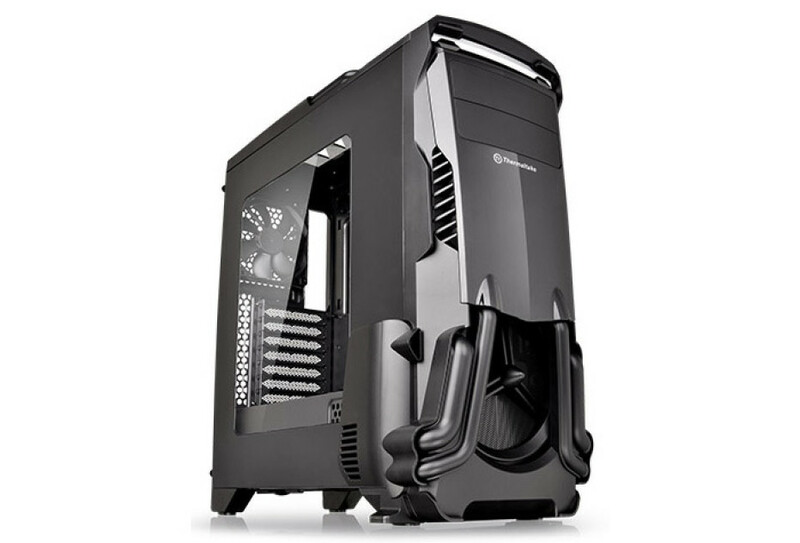 The case has enough space to accommodate CPU coolers that are as high as 155 mm, up to seven video cards that are up to 415 mm long, ATX-sized power supply units, up to two 3.5-inch hard drives, up to four 2.5-inch hard drives or solid-state drives, a single optical drive and a number of cooling fans – you can install either six 120 mm cooling fans or four 120 mm fans and two 140 mm fans. The Versa N24 measures 511 x 247 x 532 mm (L x W x H) and weighs 6.1 kilograms. The case has been made from special SPCC steel and plastic elements. In Europe the Versa N24 sells now for around EUR 60.